I don’t see many people talking about the PlayStation 4 as one of the best JRPG machines ever created. That might change with the double whammy of Final Fantasy XV and Persona 5 coming over the next few months, but for now if you were to listen to some people, you’d think that the console doesn’t have many good JRPGs on it at all. The PlayStation 4 has an excellent line up of JRPGs to suit every taste, and so this week we’re going to list our favourite JRPGs on the system. Indeed, this line up shows why this is one of our favourite consoles for the genre ever. And that’s before we have Persona 5. Every so often Square Enix will do something truly wonderful for its most committed, long term fans. 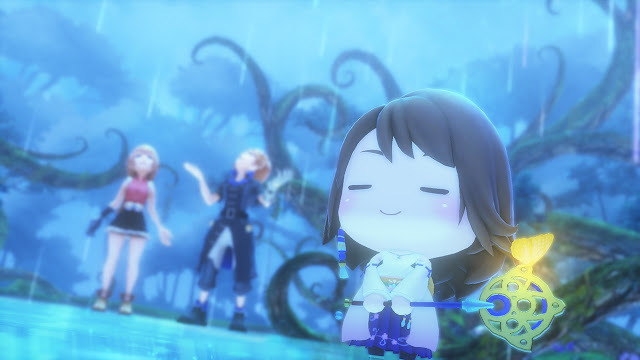 World of Final Fantasy is one such game. From end to end it’s a love letter to everything that we JRPG fans grew up with from our favourite series, and to wrap it up in an addictive monster collecting JRPG system was a masterstroke that makes the game so endlessly entertaining. Nights of Azure is quite a beautiful game once you allow yourself to adjust to its rhythms. It’s a game that’s based on operatic traditions, which means there’s a certain approach to storytelling that didn’t sit so well with many, but for those more familiar with what the game was aiming for, the touching story, excellent soundtrack, and developer Gust’s usual talents for character design all came together to offer something beautiful and romantic. 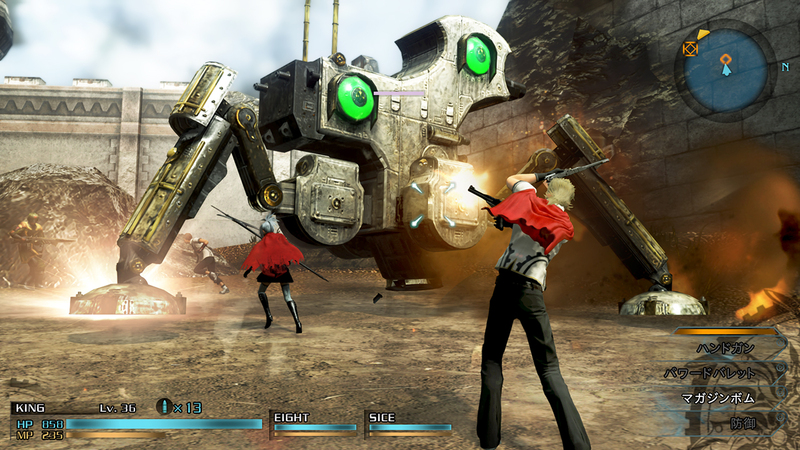 The fast paced action combat is really enjoyable too. 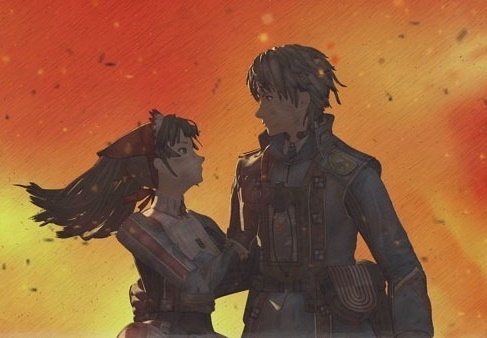 One of the best tactics RPGs ever created, Valkyria Chronicles was a cult classic back on the PlayStation 3. Hopefully the remaster got the game into more people’s hands, because it’s a very valuable game that I think a lot of people will get a lot from. 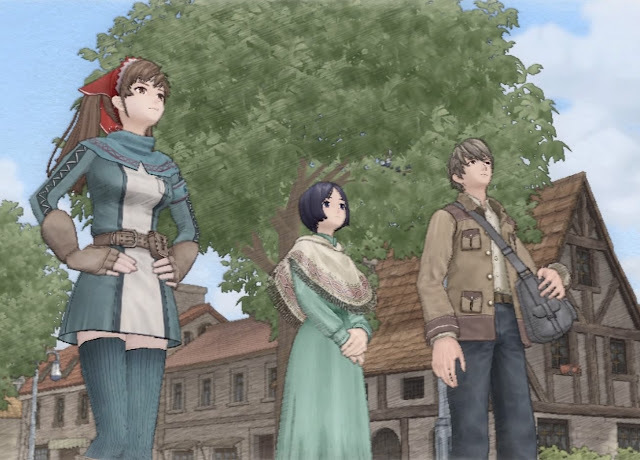 Stridently anti-war in attitude, Valkyria Chronicles has a large ensemble cast, every bit as convincing as in any Fire Emblem game, and some brilliant map and art design. I’m not usually a fan of MMOs, but Final Fantasy XIV: A Realm Reborn really hooked me in. It has a greater sense of narrative than most MMOs do, looks absolutely stunning, and has so many little Final Fantasy touches that really help to place the game in that rich, long heritage that people are so nostalgic for. And, of course, like with most MMOs, it’s such a big game that you can lose yourself in it for months and only scratch the surface of what it offers. Truly the biggest game available on the PlayStation 4. The third Final Fantasy game on this little list, but with good reason; Square Enix has done brilliantly with this franchise after so many were disappointed with the three Final Fantasy XIII games. Type-0 is a much darker Final Fantasy game, and combines really tight, fast, exciting action with a nostalgia for the good old days of the series. The overworld map looks like something directly from Final Fantasy VII, VIII or IX, for example. This one has a good cast, too, and you’ll quickly come to care about them a great deal. 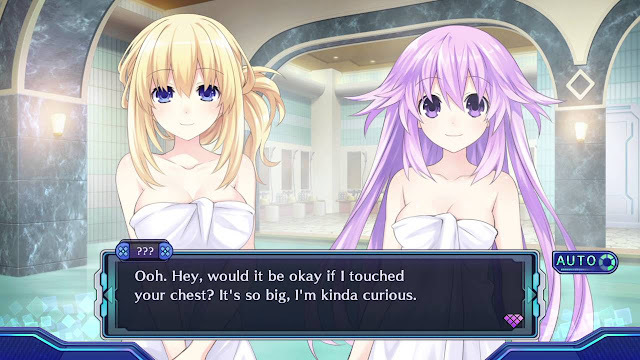 Compile Heart has been steadily building the Hyperdimension Neptunia series into something much more than a lot of fanservicey fun. Now they are legitimately good turn-based JRPGs as well, and Megadimension Neptunia is the series’ outing on PlayStation 4. 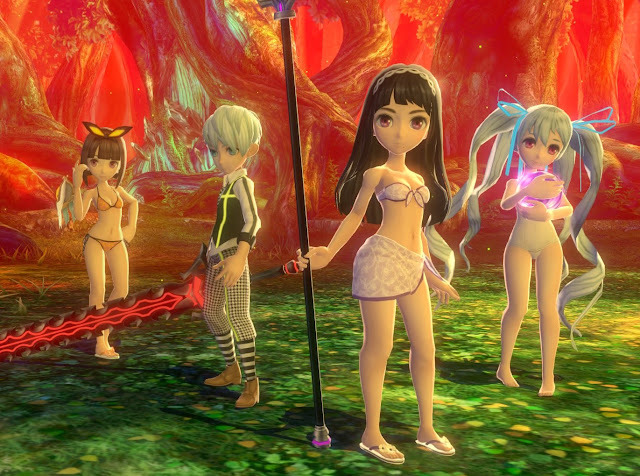 Rich combat systems, coupled with the delightfully quirky characters and bright, colourful art style that the series is best known for, come together to offer a game that is very heavy on the fanservice, but also a very, very good game. This is such an experimental game in so many ways, and yet it also feels so familiar in so many ways. 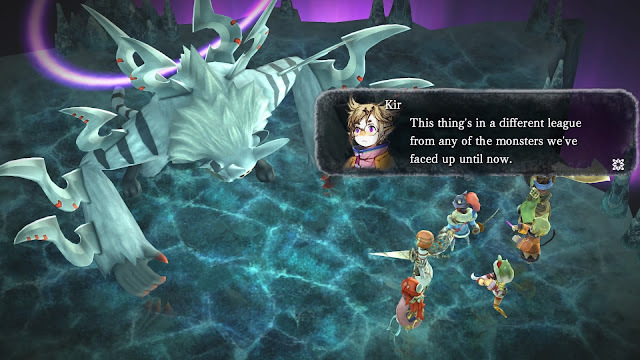 I Am Setsuna is set entirely within a wintery nightmare, and that white starkness that permeates everything gives the game such a distinct tone. Other developers wouldn’t try something like this for fear of being labelled “repetitive” or “bland” but I’m glad the risk was taken here, because far from being repetitive or bland, I Am Setsuna is beautiful in a melancholic way, and tells one ripping story. This game takes a whole to grow on you, but after a dozen or so hours of solid play, it really starts to show itself to be a gripping, powerful little game with a lot of soul. A large cast of characters that are almost universally lovable, a unique turn-based combat system that really requires you to think about teamwork, timing, and precision, and Metroidvania-style exploration of 2D environments are what makes this one so strong. It helps that it’s one of the most visually striking games this year, too. 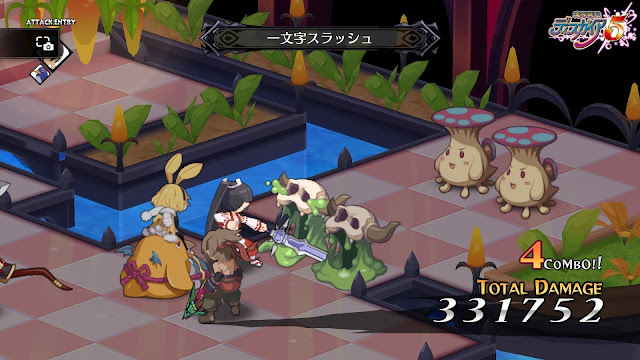 If there’s one thing that the Disgaea series has typically been, it’s big. When characters have nearly limitless levelling power, and there’s so much incentive to keep grinding, and grinding, and grinding away, it’s perhaps no surprise that in simply being bigger than the previous Disgaea games, Disgaea 5 manages to be the best of the series to date. You’ll easily play this one for dozens and dozens of hours, slowly building up a large team of delightfully quirky characters, and then challenging those team combinations against all kinds of unique scenarios. Atelier fans were all looking forward to what Gust would be able to achieve with the series on the PlayStation 4, and I don’t think many of us were disappointed by Atelier Sophie. A beautiful, charming, pleasant JRPG title, Atelier Sophie eschews the genre’s love of complex, darker narratives for something lighthearted, and in the process gives us plenty of joyful characters, wondorous places to explore, and fun situations to work though. Atelier Sophie is Gust at its carefree best.